MOSCOW, August 25. /TASS/. 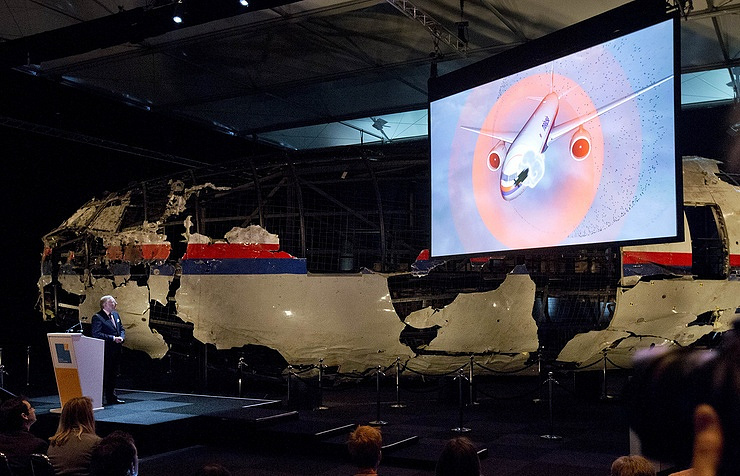 The Russian Prosecutor-General’s Office has handed over to the competent authorities in the Netherlands the data on the investigation into the 2014 crash of Malaysia Airlines flight MH17, Alexander Kurennoy, a spokesman for the Russian Prosecutor-General’s Office, said. "In connection with the statement made by the Netherlands on difficulties during decoding the primary radar data on the situation in the air at the moment of the plane’s crash provided by Russia earlier, in October 2016, the Russian side has resent the data converting it into the ASTERIX format requested by the Dutch side and attaching detailed instructions on work with it," he said. This is the fifth request from the Netherlands in this criminal case met by the Russian side. According to Kurennoy, Russian experts paid special attention to the fact that the "primary registration" format used by the Russian side in October 2016 is the raw information, while converting data in into the ASTERIX format requested by the Dutch side, which is secondary, most raw radar data is lost. "The Russian side stressed once again that the analysis of the Russian radar data in both the ‘primary registration’ and ASTERIX formats refutes the official investigators’ allegations about the missile launch site," Kurennoy stressed. He explained that, according to the decoded radar data, the missile that brought down the MH17 flight could not be launched from the populated locality of Pervomaiskoyoe area, as stated by representatives of the Joint Investigation Team (JIT) on September 28, 2016. "In Russian specialists’ estimates, if the attack weapon had moved along the trajectory in accordance with the version of ‘a launch on a head-on course,’ then the Utyos-T radar in Ust-Donetsk would have registered the marks of reflected signals from the object," the spokesman said. "Considering the irrefutable and impartial primary radar data, Russia once again urged the Netherlands to take into account the information it has provided in the course of the investigation, including when drawing the final conclusions of the Joint Investigation Team," he emphasized. Kurennoy added that while handing over the data, the Russian Prosecutor-General’s Office once again stressed that Russia is interested in the impartial investigation into the circumstances of the crash of flight MH17 and is ready to provide every possible assistance. 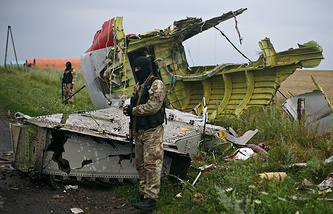 The Malaysia Airlines Flight MH17, a Boeing-777 passenger plane travelling from Amsterdam to Kuala Lumpur, was shot down on July 17, 2014, over Ukraine’s eastern region of Donetsk. The crash killed all the 283 passengers and 15 crewmembers. There were nationals of ten states among the dead. The Ukrainian authorities and the self-proclaimed Donetsk People’s Republic militia accused each other of downing the plane. On July 21, 2014, the UN Security Council demanded a full and independent investigation. Russia’s representatives have been repeatedly objecting to the manner of the investigation, pointing out that the data provided by Russia was being neglected.